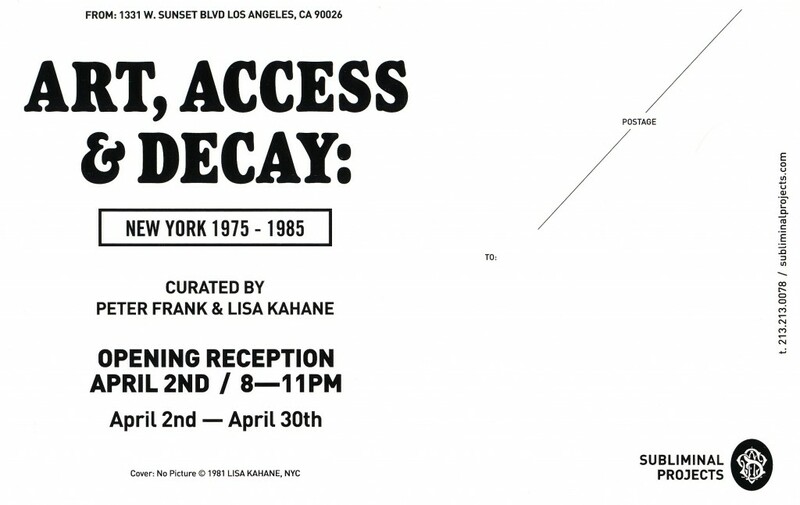 Subliminal Projects Gallery is pleased to present Art, Access & Decay: New York 1975-1985, a group exhibition on view April 2 through April 30, 2011. 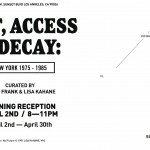 A reception for the artists will be held Saturday, April 2, from 8 -11 p.m.
Art, Access & Decay: New York 1975-1985, examines a new art movement that emerged in New York at this time, uninfluenced by commercial or academic input. This new movement wanted to avoid the elite confines set by the art market, and made little compromise. These artists wanted to produce artwork nobody had seen before but everybody could understand. They presented this artwork on the streets, in makeshift storefronts, and on public access television to ensure that it was widely available, as broadly cast and as affordable as possible. Art, Access & Decay draws mostly from three overlapping phenomena: an artists’ collective called Collaborative Projects, or CoLab; Fashion Moda, a cultural center situated in the South Bronx, (then one of the most devastated neighborhoods in the country); and a corner of Manhattan, the East Village, that emerged as an alternative to SoHo’s increasingly upscale art scene. These phenomena emerged around 1980, but the spirit that engendered them was rampant by the mid-1970s. Do-it-yourself and guerrilla approaches to exhibitions and performances proliferated. The streets, whether in the financial district, Chinatown, Harlem or Times Square, were as legitimate an arena for art making and exhibiting as anywhere else. This mindset stuck well into the 1980s, as high art and commercial music began appropriating the look and energy of graffiti and hand-drawn posters, Xeroxed flyers and eccentric installations. The appropriation, however, merely skimmed the surface of the look and verve of this new artistic expression. By the early 1980s, uptown and downtown audiences, the art market and art theorists alike, all began embracing street art. The embrace was mutual, but not automatic. The artists of New York’s new vernacular craved the acceptance of the art world and the public at large, but not at the expense of their street sensibility. 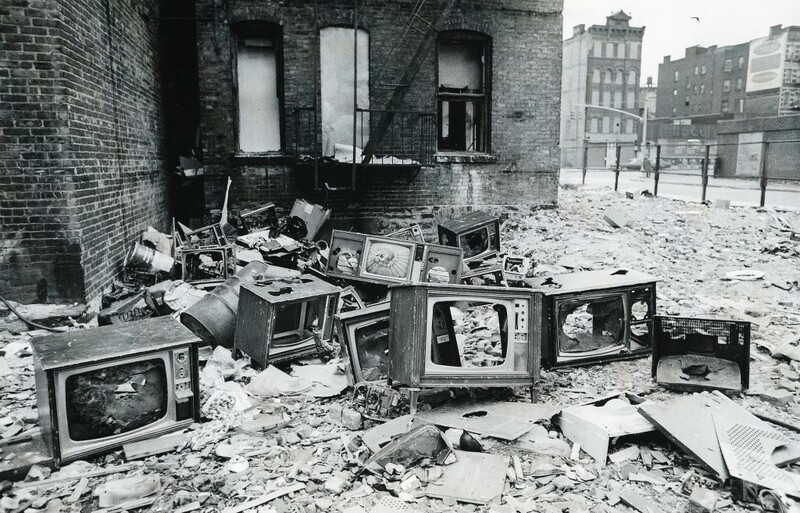 ART, ACCESS & DECAY: New York 1975-1985. Subliminal Projects, LA. Curated by Peter Frank & Lisa Kahane. April 2-30, 2011. Photo credit: Lisa Kahane. 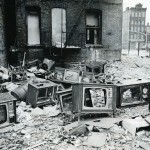 ART, ACCESS & DECAY: New York 1975-1985. Subliminal Projects, LA. Curated by Peter Frank & Lisa Kahane. April 2-30, 2011.